Black piano finish vertical wall clock. Waterfall bezel with glass lens, gold dial & three hand movement. Rosewood stained piano finish vertical wall clock. Waterfall bezel with glass lens, gold dial & three hand movement. 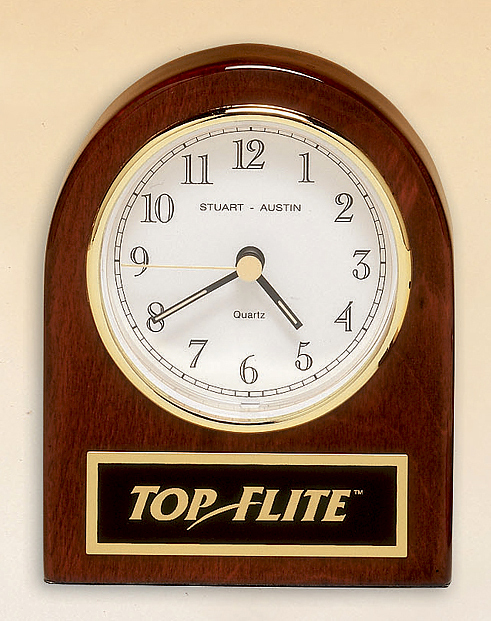 Rosewood stained piano finish desk clock with three hand movement (batteries included). 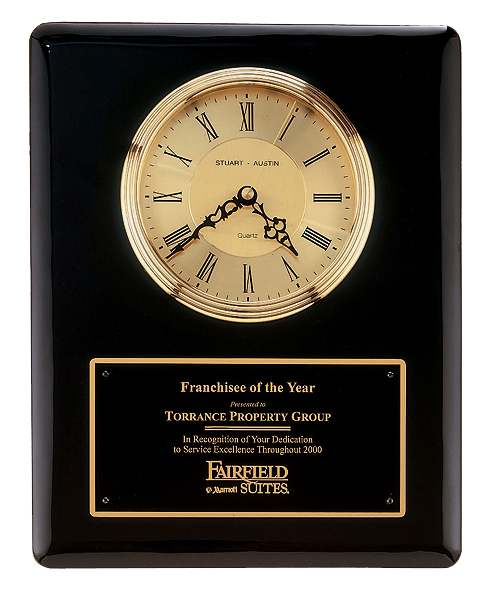 Features day and date calendar, musical alarm, digital thermometer and world time capabilities with easel style back (batteries included). 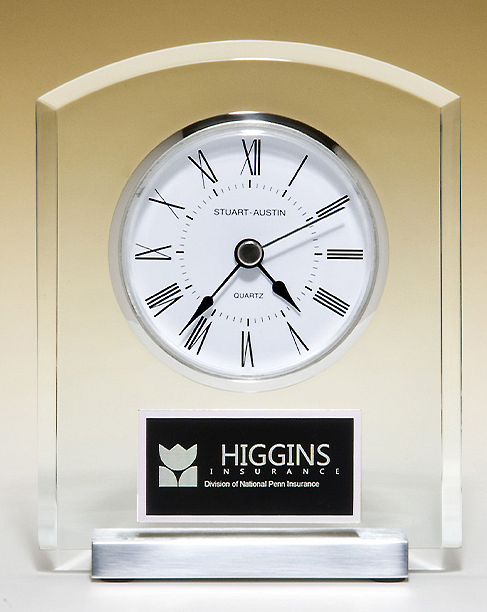 Size: 3-3/4" x 5 1/4"
Blue and silver desk clock with world time dial, matching blue and silver engraving plate. 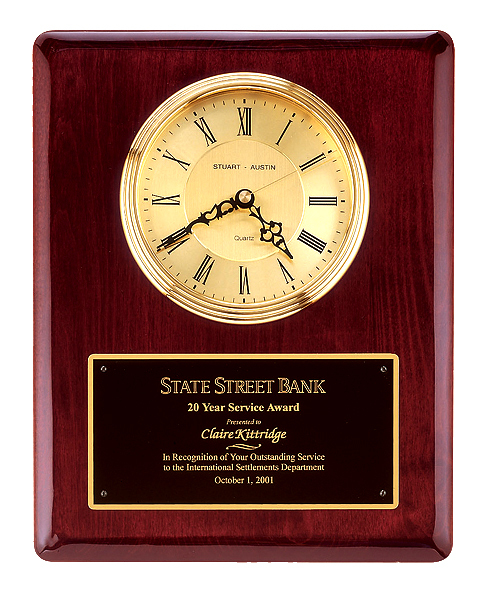 Rosewood stained piano finish desk clock with glass picture frame (holds one 4x6 photo, batteries included). 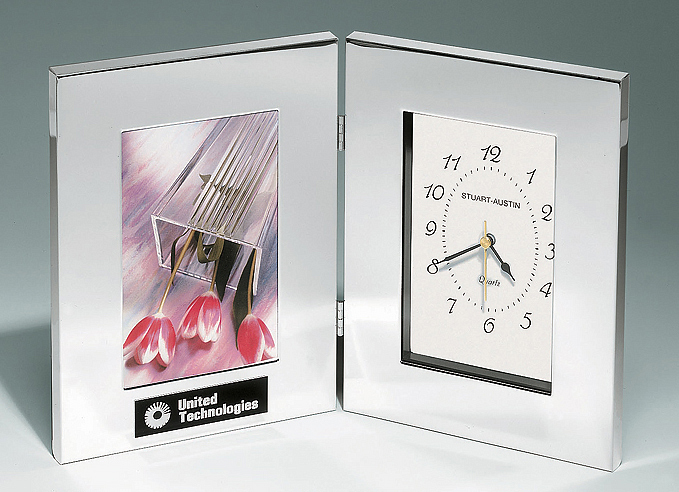 Combination clock and photo frame in polished silver aluminum (holds one 4x6 photo).